A Caesarean section, or C-section, is the surgical delivery of a baby through incisions made by an obstetrician in the mother’s abdomen and uterus and may be performed when the mother is unable to deliver her child vaginally or when a vaginal delivery would put the health or life of the baby and/or mother at risk. 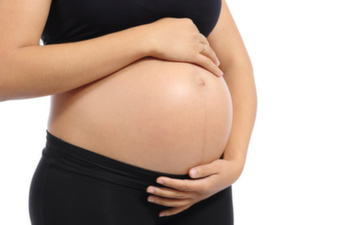 Caesarian sections may be scheduled ahead of the child’s expected delivery date when conditions indicate the necessity or advisability of a non-vaginal birth, such as when the fetus has become too large to safely pass through the birth canal. They may also be ordered as emergency procedures when complications occur during labor and delivery stages of childbirth. Such emergency C-sections may be ordered when the mother’s labor is unduly slow in its progression or stops altogether, when the fetus presents in a breech position, when the fetus exhibits signs of distress, or when a complication involving the placenta or the umbilical cord has occurred. When an obstetrician negligently fails to order a Caesarian section when one is indicated, fails to perform an ordered C-section in a timely manner, or negligently performs the procedure itself, the fetus may suffer serious injuries or die as a result. If your child has died or sustained injuries due to a physician’s negligent performance of a C-section or negligent failure to order an emergency C-section when indicated, you may be entitled to compensation for the damages suffered by you and your child through the institution of a medical malpractice action against those responsible for your child’s injuries or death. Caesarian section/C-section attorney Jeffrey Killino has extensive experience with all types of child injury and birth injury cases, including those arising out of the negligence of medical professionals. Contact attorney Killino at 877-412-8490 for a free evaluation of your case. A child may suffer injuries as a result of a failure to perform a C-section when one is indicated or a failure to perform such a C-section in a timely manner. Medical errors may also occur during a C-section itself, even though the C-section was performed when indicated and was performed on a timely basis. In either case, if the negligence of medical personnel was a cause of your child’s birth injury or death, you and your child may be entitled to compensation for the damages you have suffered in an action for medical malpractice. A physician’s failure to order a C-section when one is indicated may result in injury or death to a fetus and liability on the part of the physician. If, for example, a physician negligently fails to order a C-section when a mother’s labor is progressing at a rate that is considered unsafe for the baby and the baby is injured or dies during vaginal delivery, the obstetrician may be found liable for the injuries or death sustained by the fetus during the vaginal delivery. A physician’s untimely performance of an emergency C-section may also be found to constitute negligence, resulting in liability on the part of the physician. If the delay in performing an indicated C-section results in injury or death to the fetus as a result of oxygen deprivation from umbilical cord or placenta complications, for example, the physician responsible for the delay may be found to have been negligent and therefore liable for the fetus’s resultant injury or death. Caesarian sections are considered major surgery. Though Caesarian section, or C-section, deliveries may be indicated for many reasons, the procedure itself carries many risks for both mother and child. Common risks to the baby from the performance of a Caesarean section include fractures to the skull or long bones, lacerations to the baby’s skin, serious brain or nerve damage, organ damage, and breathing problems when a baby is delivered before its due date. The proper monitoring and management of these risks during any C-section procedure is, thus, crucial to the child’s safety. The failure of obstetricians and other medical personnel, including nurses, surgical assistants, anesthesiologists, and surgeons, to adequately protect the baby from unnecessary and preventable injuries may be found to constitute actionable negligence in a medical malpractice action, resulting in liability on the part of such medical personnel for the baby’s resultant injuries or death. In some cases, the hospital in which a child is delivered may be found liable, as well. The hospital, as a negligent doctor or nurse’s employer, may be found indirectly liable for injuries or deaths caused by its negligent employee. The hospital may also be found directly liable if it is found to have been negligent in the screening, hiring, training, or retaining of the negligent employee. If your child has suffered injury or death as a result of the negligent or untimely performance of a C-section or a doctor’s negligent failure to order a C-section when one was indicated, you may be entitled to compensation for your child’s injuries or death. 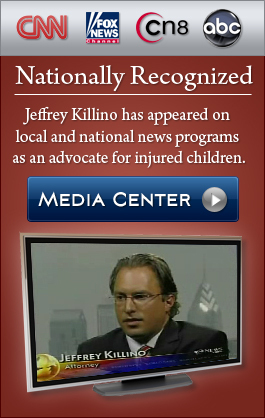 Child and birth injury attorney Jeffrey Killino has considerable experience and expertise as a birth injury and C-section injury lawyer and will fight to obtain the compensation and justice you deserve. Contact attorney Jeffrey Killino at 877-412-8490 for more information about your legal rights and options.